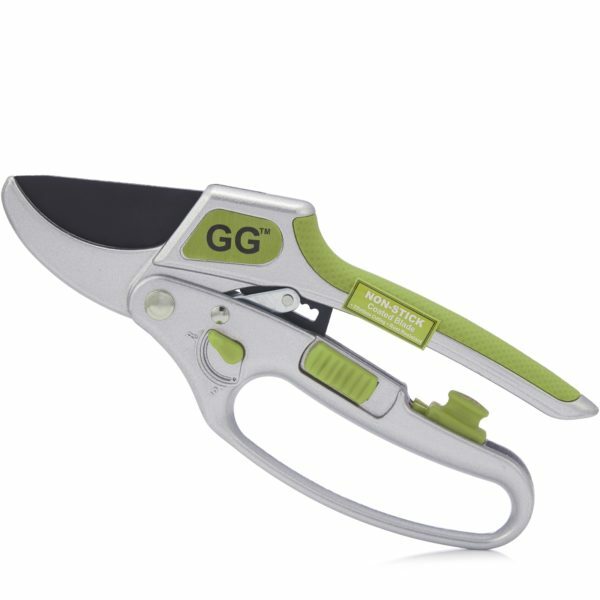 The Grumpy Gardener 2-in-1 swivel secateurs with a 4 ratchet cutting mode and a single cut mode to make it easier to cut through either thick or thin branches It comes complete with a high carbon steel cutting blade and a safety lock to prevent accidental usage. 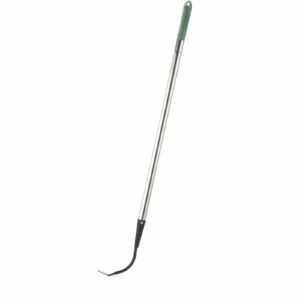 They are referred to as 2-in-1 because they can be switched between a ratchet system for ease of cutting thicker stems, and a single cut mode for lighter pruning. 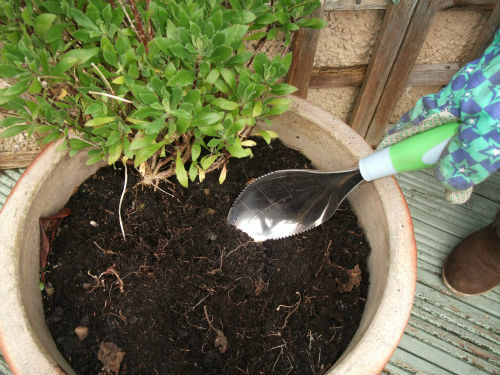 The secateurs also come complete with an oil sponge and a safety-lock catch. 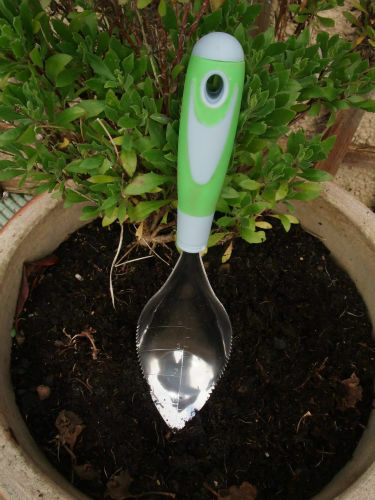 The 2-in-1 secateurs are designed to be a long-lasting part of your garden tool kit. 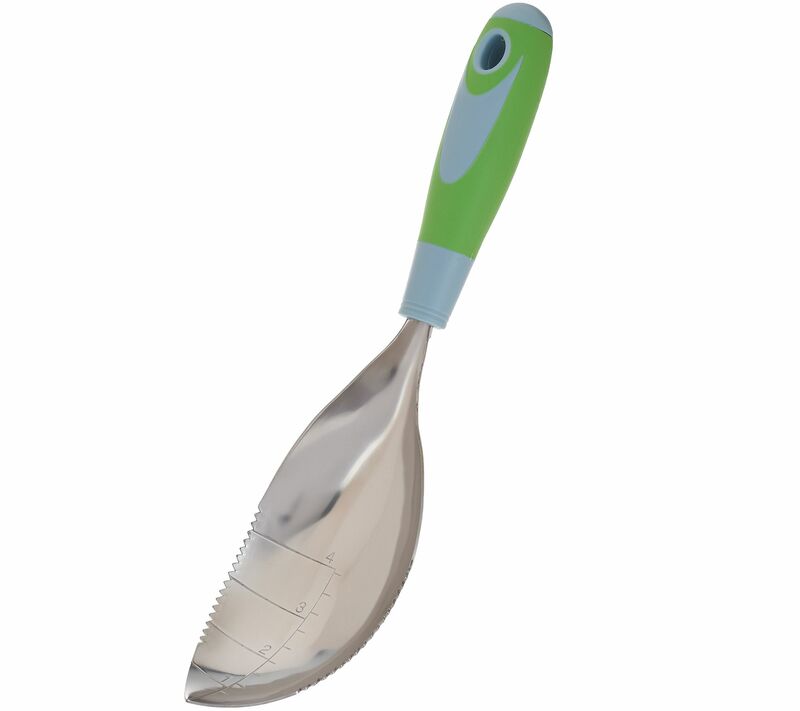 Simplify your gardening maintenance with this easy-to-use cutting and pruning tool. 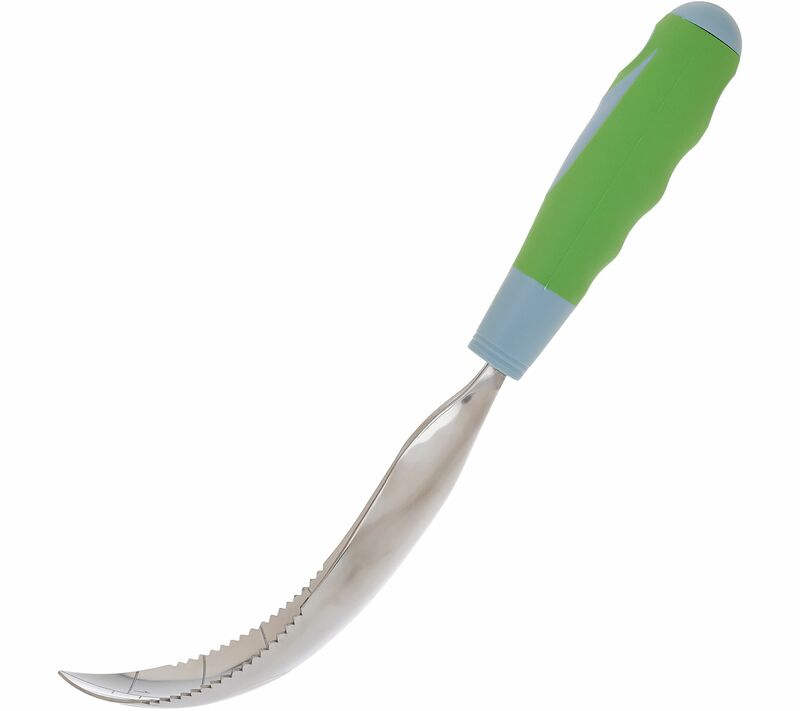 Slide the branch to be pruned firmly under the blade and close the handle together without forcing them. 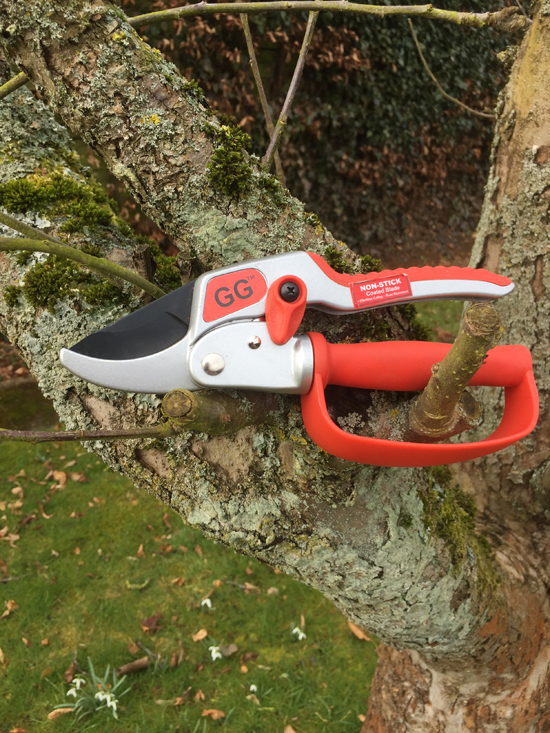 Please note: it is normal for the secateurs not to completely cut the branchin one closing of the handle. Allow the secateurs to return to the open handle position, so as to allow the pawl to engage with the next notchon the ratchet mechanism. 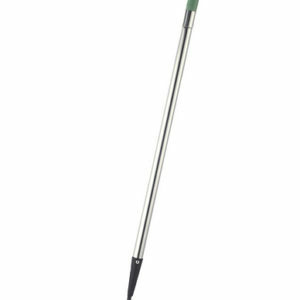 Repeat the above until the branch is cut off. 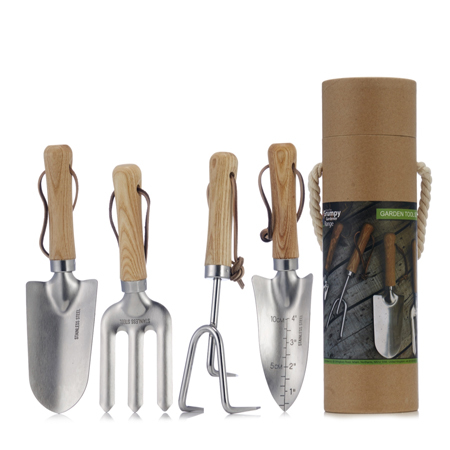 The gardening gift set comes with four essential gardening tools in a robust presentation tubular shaped box making this an ideal gift for any gardener. 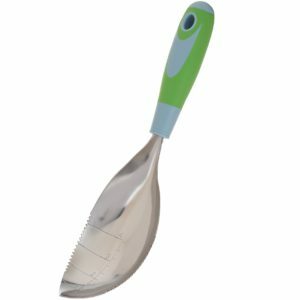 This serrated edged pointed garden trowel is the perfect gardening tool for planting, cutting through roots, scraping, drawing seed furrows and weeding. Long handled garden cultivator, weed remover, tiller and gardening tool can be used to reach deep into flowerbeds, hook down high branches of a tree that need cutting back, remove weeds and moss from between paving stones and to clear your gutters of dried leaves. This gardening hand tool is also perfect for the keen gardener who is unable to kneel down to work in their flowerbeds. 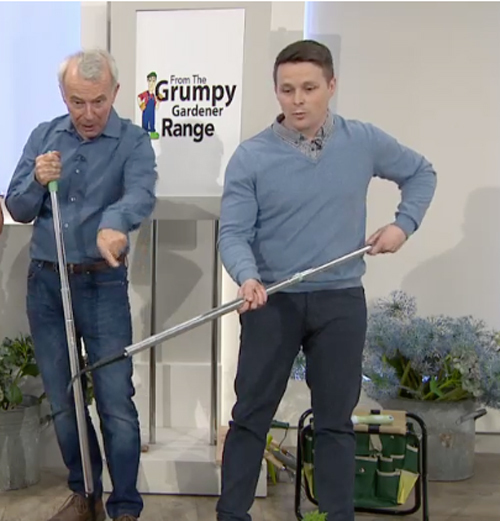 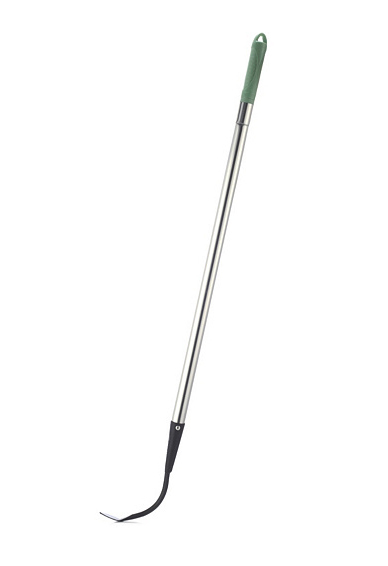 Use this Grumpy Gardener extendable Cultimate Weeder to get in between long or thorny stems, break hard soil and scrape joints clean in paving or driveways.